Helping banks and insurance firms apply technological innovations to enhance the efficiency of financial services. 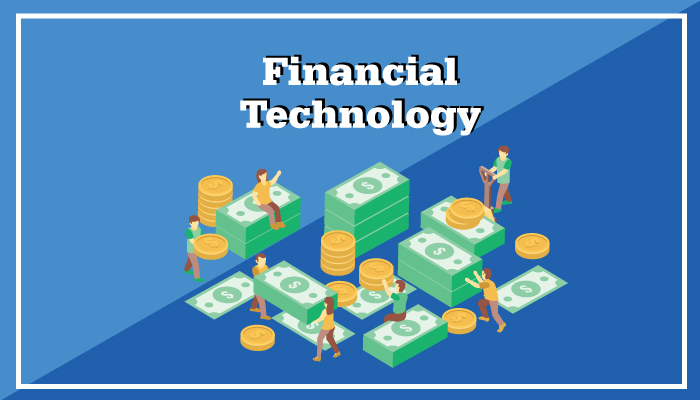 The financial technology sector, also known as FinTech, has led to the innovation of traditional financial services and opened up employment opportunities in the industry. Singapore – as an international financial and IT hub in the Southeast Asian region – is generally fast to adopt most new technologies, and has supported the growth of new applications and processes, such as internet and mobile banking, across the commercial and private banking sectors. Graduates keen on this field can look forward to working on technologies that aim to automate parts of the banking industry, in addition to lending support functions like handling data management, interactions, and transactions between financial firms and their partners or clients. Product providers: Organisations that offer financial products, such as retail and online banks, investment management companies, as well as insurance and actuarial firms. This may also include other less conventional corporations that provide financial services and products. Service providers: Companies that work hand-in-hand with product providers to offer advisory and other forms of assistance. Financial advisors, actuarial firms, and other business consultancy organisations fall into this category. Technology providers: Technology “partners” to product and service providers that cater to their software and technology services needs. In most cases, product and service providers tend to be dominated by large organisations, and most will have a graduate programme prepared to introduce their graduate recruits to the IT functions available within the company (e.g. operations, infrastructure/architecture, security, etc.). The period of the programme may last up to 3 to 6 months, and at the end of it, you will be assigned to specialise in a field you’re most comfortable with. Technology providers, on the other hand, are typically smaller in size, and will recruit graduates directly into specific roles instead of graduate programmes. It is also common for employers to put you in charge of responsibilities early into your role, and expectations can be quite steep, so you will need to be able to manage your employers’ expectations. Also, while your colleagues working with product and service providers may be exposed to more areas during their rotations, working with technology providers lets you develop a focused range of skills at a faster rate. Application development: Where you develop applications and software to improve the organisation’s facilities. Infrastructure: Where you are in charge of building and maintaining the components – both hardware and software – required to host the programs (e.g. servers, networks, data storage, disaster recover, and desktop terminals). Support: Where you assist users (e.g. staff members or customers) and handle troubleshooting when required. Your job will involve more client-facing responsibilities compared to the other two roles. One of the main criteria to join this industry is your passion for technology and the financial services industry, as well as substantial knowledge of the latest trends taking place in both sectors. For instance, many economists and IT experts in the financial services industry are touting the popularity of bitcoin-inspired currency systems and other FinTech (finance technology) efforts. There has also been discussions about crowd-sourced identity systems that are based off social media. Being aware of the more intricate details of these trends will help you stand out with recruiters. Do your best to portray good communication, social, and problem-solving skills as well because more often than not, you will be working in teams, and your job will revolve around a lot of troubleshooting and trial-and-error. Having patience and a good eye for detail is also equally important. Integrity and credibility are also immensely critical as someone working in the financial services sector, particularly as you may be involved in the management of massive and confidential financial data of organisations such as banks. Employers in this field also tend to be more relaxed about their graduates’ academic degree – a computer science degree is not absolutely necessary – although they do have a preference for candidates with a numerate or scientific degree. Many IT personnel find satisfaction in being able to serve the finance community both on a national and global stage, knowing that they have contributed to more efficient banking experience. This sector is also for you if you are interested in holding a tech position, but want to be involved in a commercial-oriented sector as well. Learning opportunities are also in abundance as you’ll have to constantly keep yourself updated with the latest technologies used in the financial services industry. The compensation package is also generally more rewarding. On most days, work-life balance is quite guaranteed, but every now and then, you may be required to stay back after regular working hours for systems/network maintenance. Understanding your employment rights will help you make a more informed decision when applying for your first job and reviewing your job offer. Interviewees aren’t burned at the stake for asking interesting, smart questions. Quite the reverse, in fact! Making your interviewers think "Wow, you’re intelligent!" will make them warm to you in the best possible way. Not quite sure how to get past a phone interview? Read on for some handy tips! Ace the graduate scheme assessment centre with these 4 tips on how you can be your best self on the spot!